This is another wedding reception that we did at The Gazebo in Warren Michigan. We celebrated in style with Melanie and Ross. They added the lighting design to transform their room with color. 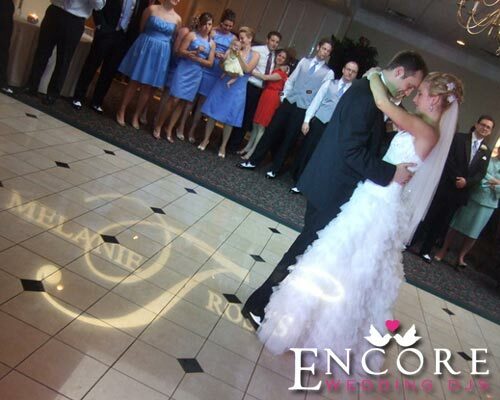 We even created a custom name monogram so they could dance inside their name. You can see it in the photo above. Once the sun set, the lighting really made the room come to life!